As we age, there are some things that get better and some things that… well… don’t. For instance, our bank accounts tend to look vastly better at 40 than they did at 20. But sadly, while our bank accounts may get bigger, many of our waistlines do as well. The truth is, once we reach 40, many of us develop muffin tops, diabetes, hypertension and arthritis. While prescription and over-the-counter medications can help manage these health issues, tackling them on a nutritional level – at the source – is a much better approach. If you’ve hit that milestone birthday, here are 6 foods you should definitely stop eating. Did I just hear a collective moan? Bacon has to be one of the most beloved food items on the planet. That’s most likely because it is undeniably delicious. But if you suffer from any joint pain and stiffness, this is one of the first foods that’s got to go. When you suffer from arthritis or other related chronic joint problems, it’s important to stay away from certain foods that aggravate the problem. Studies have found that COX-2 enzymes are more active and cause more inflammation in the joints when a person has a higher omega-6 to 3 ratio. 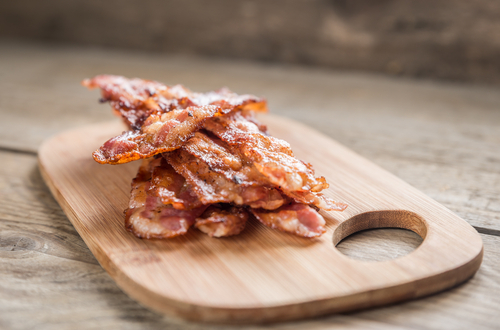 Grain-fed and commercially processed cured bacon is high in omega-6 fatty acids and should be avoided. According to the National Institutes of Health, light-to-moderate alcohol consumption means having between two to seven drinks each week. Any more than this and you can actually damage your heart and liver. So, raise a glass to moderation. When you’re a child, your world revolves around getting your hands on as much junk food as you possibly can. In your teens and 20s (okay and even 30s), you perhaps slow down a little on the sugary foods so you don’t look bad at the beach in front of that boy or girl you like. Once we hit 40, however, that sugar really starts taking its toll on our body and overall health. In fact, sugar can make us age faster in a number of ways. Whether you down a pint of Ben & Jerry’s, have a candy bar as a snack, or three bagels for breakfast, all of that sugar gets converted into glucose. 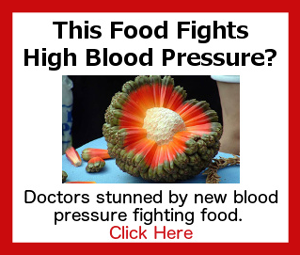 And as we all know, high blood glucose can lead to diabetes, heart problems, and kidney and nerve damage. High glucose can also lead to skin and bone issues that make us look and feel older than we should. It’s important to read labels because many of the items you’ll find on grocery store shelves are laden with sugar; even items that would surprise you like soups, condiments and cereals. And, of course, one of the biggest culprits you should IMMEDIATELY cut out of your diet is soda. Just one 12-ounce can of regular soda has roughly 10 teaspoons of sugar! When you work out hard you want to be sure you stay hydrated and get those electrolytes in. But did you know that energy drinks are far more likely to strip your teeth of its enamel than, say, a regular sports drink? And, energy drinks are found to be very acidic, and acidity makes your teeth more vulnerable to stains. Nothing ages a person faster than a stained, yellow smile. When you’re in your 20s and 30s, you can get away with not having the most nutritious breakfast on the planet. This is most likely why sales of specialty protein bars have skyrocketed. But don’t be fooled, those “healthy” breakfast and snack options are loaded with awful ingredients like fructose, dextrose, glycerin, and sorbitol. Your better bet is to make sure you eat 20 to 30 grams of protein at each meal. This is particularly important as we age, because it is far easier for us to lose precious muscle mass. Once our muscles begin atrophying, our bones weaken and we far more easily pack on those extra pounds. A healthier breakfast option would be nutritious eggs, which are not only packed with protein but essential vitamins and other important nutrients like choline. When you cook foods at high temperatures, you increase the inflammatory compounds within them known as advanced glycation end products, or AGEs. And, yes, AGEs do in fact age a person. High levels found in the body have been linked to osteoporosis, neurodegeneration, heart disease, stroke and other age-related diseases. To avoid consuming AGEs, try and cook a majority of your foods at lower temperatures and boil and steam your veggies. Of course, any of the foods on this list are okay in moderation. But there’s that work again. When I say moderation, I mean ONE of these foods in small amounts once a week would be acceptable. Though you will experience more vibrant health if you say goodbye to them forever.